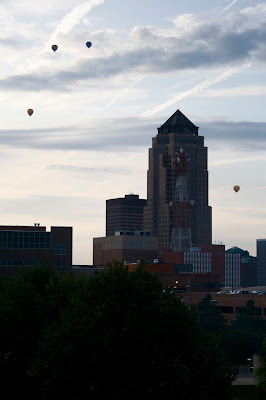 One of the things I love about our 3rd floor condo is that we can always see what's happening in downtown Des Moines. At the 4th of July, we saw four different fireworks shows at the same time. During the music festival, we opened up the windows and (sort of) heard Ben Harper. 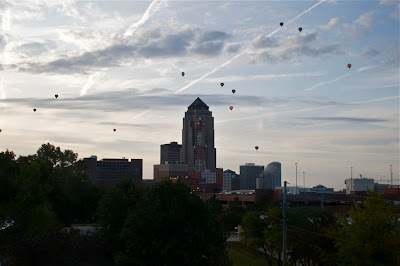 And this morning when I got Alex out of bed at 6:45, I opened his curtains to see tons of hot air balloons in the sky. Love our view!